Tech startup Gravity X has launched crowdfunding campaign on Indiegogo in support of its futuristic game-changer smartphone car mount which assures the smartest and most innovative way to hold mobile phone or a tablet in a car. Based on pure physics, this patent-pending unit counts on the gravitational force to secure the phone in a car just within a flash. It’s sure to make Newton proud. The unique mount comes with an unrestricted opening fitted with silicone pads topped by little suction cups. As the user inserts and releases his smartphone into the opening, the suction cups make a tight grip on the inserted part of the phone screen. 3M tape used by the side of the mount fixes it safely on a flat surface over a car’s dashboard and the unit assures a handy one-hand operation while the other hand stays firmly on the steering. “When you would release the smartphone into the mount opening, it would rotate using phone’s weight that transfers the energy to silicone pads, enabling the suction cups a firm grip on your screen. It took me months of extensive work to come up with this futuristic unit & it assures the best security and grip for your phone- compared to anything on contemporary market. We have already gathered the money needed for initial inventory but we need further funding now to market our innovative unit to the whole world- and hence the crowdfunding campaign”, stated the man behind this game-changing unit Barry Biondo. A graduate from Boston University, Barry has always been drawn towards innovative functional goodies. His innovative key locator was picked as one among Hodas favorite stuff on TODAY Show by NBC and now he is positive that his latest revolutionary phone car mount has the power to alter the industry for better. A good bunch of rewards are waiting for the donators of the crowdfunding campaign. 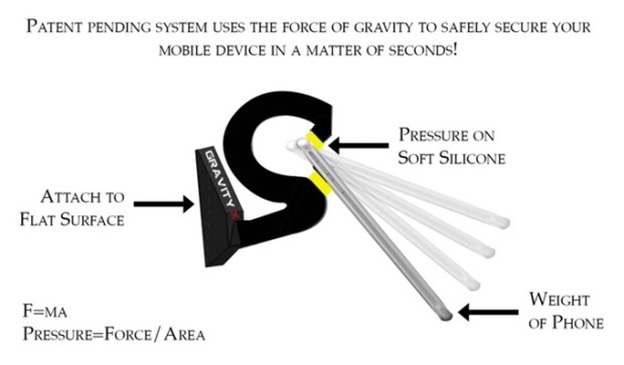 A donation of $15 would be rewarded with one Gravity X car mount at just $29.99. Donations reaching $25, $40, $60 and $160 would mean 2, 3, 4 and 10 Gravity X Mounts respectively for the donators at the lowest cost. A donation of $1000 would be rewarded with the exclusive opportunity to enjoy lunch with Gravity X team members that would be further followed by a great Polo match to be hosted at a premium polo course of Wellington, FL. 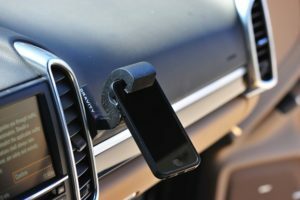 For more information or to back this product, please visit https://www.indiegogo.com/projects/a-smarter-way-to-hold-your-smart-phone-in-your-car#/.